The importance of dishwasher in the house cannot be overemphasized. It is one of the household appliances that make cooking and cleaning up of dishes quite easier and faster. It also helps to economize water. However, the dishwasher being one of the most frequently used appliances has the potential to develop some faults at one time or the other. Proper management and servicing of the appliance as at when due can help to keep the efficiency high at all time. This is the reason phoenix dishwasher repair was established. We have experts that can help you extend the life of your dishwasher if only you can contact us anytime you notice any unusual sign in your dishwasher. We are ever ready to serve you at your convenience. 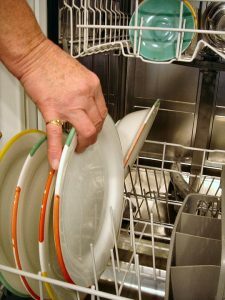 For some people that neglect little faults in their dishwasher, does faults are signs that when neglected could damage your dishwasher which will mean that you either have to replace it or wash the dishes manually. Believe me that replacing it will be more expensive while resulting to manually washing will not only increase your water bill but will also waste your time and energy especially after a busy schedule for the working class. If you notice that your dishwasher cannot wash the dishes properly as usual, it is not time to abandon it or waste your money to get a new one. 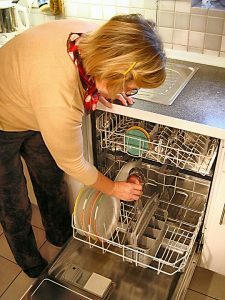 It could be as a result of minor faults that when the services of phoenix dishwasher repair are contacted, we will put it back in order. I understand the feeling of having your dishwasher disappoint you especially when you have a tight schedule and it seems you are running late. You might feel like discarding the old bunch. Doing that might not be the best solution as you might have to spend more getting a new one when you can repair it by employing our factory services at a much reduced cost. This is why phoenix dishwasher repair was established, to help you out in periods like this. Another sign that your dishwasher needs repair is when the drainage system begins to malfunction. It is not advisable to go checking the air gap of the sink or unscrewing the cap as you might end up damaging the appliance totally. The best thing to do is to contact the phoenix dishwasher repair so they can handle it professionally and keep your dishwasher working efficiently. Your dishwasher cannot function properly when the motor is faulty. You will need the help of professionals to put it back to shape. Repairing the motor is quite tactical and as such if handled wrongly, could damage the dishwasher permanently. This is why you need to contact phoenix dishwasher repairs as we are fast and reliable. Our expert technicians are well read and exposed in the repair of different models of dishwasher. A number of factors can lead to leaking dishwasher. However, an average man cannot figure this out, an expert technician specialised in this area will definitely be needed and of course the phoenix dishwasher repair is well ad able to do this for you. Finally, you might have been disappointed by the services of some technician that you find it difficult repairing your appliances again but prefer discarding them at the slightest fault. There is still one more trial for you and that is Phoenix dishwasher repair. 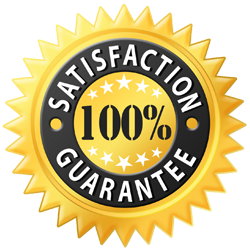 Employ their services for your dishwasher repair and you will never regret you did so.